The world’s elite tactical units depend on SWAT trucks from swat-vehicles.com. Armored SWAT trucks from swat-vehicles.com represent the pinnacle of Ballistic Armored Tactical Transport vehicles. Our customized tactical vehicles are used by SWAT teams, rapid deployment units, military and police tactical units and offer tremendous flexibility while coming with a variety of options. Choose from the BATT XL, BATT S or BATT AP, or learn more about our rapid deployment vehicles and armored personnel carriers. Superior technology and engineering allow our BATT vehicles to defeat high-powered armor piercing rounds and transport 12-14 officers/prisoners in an urban off-road setting. We customize tactical vehicles for the most elite tactical units in the world. We listen to our customers and give them what they want, and more importantly given the high stakes innvolved we give them what they need. 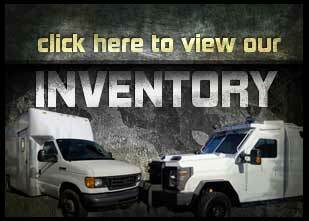 Consult with our experienced professionals regarding your armored vehicle needs. In short order you’ll discover the excellence and expertise that has made us an industry leader since day one. The types of clients that order our armored SWAT trucks need great results every time from their BATT vehicles. At swat-vehicles.com we are always employing the latest technological advances in our Ballistic Armored Tactical Transport vehicles. We will continue to provide the type of cutting edge options that make our customized tactical vehicles the industry standard.